COLUMBIA, MD (September 20, 2018) — The National Center for Healthy Housing, with funding from the W.K. Kellogg Foundation, is pleased to announce the publication of two technical briefs relating to funding community health worker services. Community health workers (CHWs) provide services that address the social and environmental determinants of health, including preventive, home-, and community-based health services. In 2014, Medicaid established a new pathway for reimbursement for CHW services. The “preventive services rule change” gave states the option to reimburse nonlicensed practitioners, including CHWs, for preventive services recommended by a licensed practitioner. 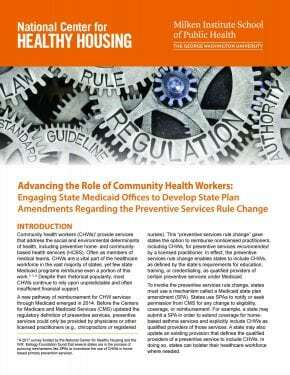 Readers will learn the process by which states can amend their Medicaid state plans to include CHWs in preventative services and how the inclusion of CHWs can reduce costs and improve health outcomes for home-based asthma services. Advancing the Role of Community Health Workers: Engaging State Medicaid Offices to Develop State Plan Amendments Regarding the Preventative Services Rule Change, prepared for NCHH by the George Washington University Milken Institute School of Public Health, reviews the process for amending Medicaid state plans to include CHWs in preventative services delivery. The report offers key “takeaway” messages for stakeholders, including how to comprehensively define the services, providers, and settings eligible for Medicaid reimbursement. 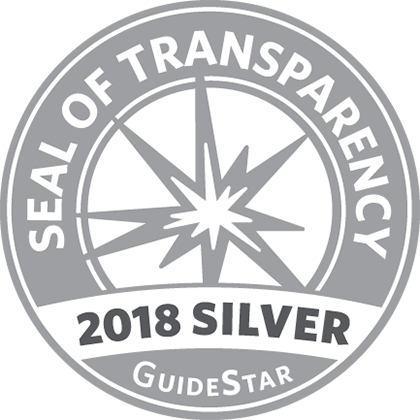 It also provides strategies for successful implementation of state plan amendments, including data collection, workforce development strategies, and ways to foster working relationships between CHWs and licensed providers. 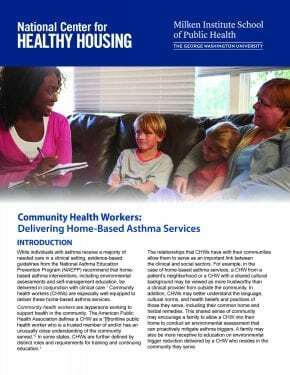 The second brief, Community Health Workers: Delivering Home-Based Asthma Services, prepared by the Childhood Asthma Leadership Coalition (CALC) and the George Washington University Milken Institute School of Public Health for NCHH, shows how the inclusion of CHWs can reduce costs and improve health outcomes for home-based asthma services. It highlights the range of services CHWs can provide, such as home assessments, trigger reduction education, referrals for environmental and social services, and self-management education. Case studies from successful asthma home-visiting programs that have used CHWs illustrate the partners, funding strategies, health outcomes, and return on investment associated with these innovative programs. The brief describes innovative programs in the states of New York and Minnesota as well as in the municipalities of Seattle/King County (Washington), Chicago (Illinois), and Boston (Massachusetts). These briefs are the latest resources that NCHH has curated for healthy homes professionals in the “Workforce Development” section of its Financing and Funding resources library.